The Ernie Ball CradleTune makes string changes and setups a breeze! Ernie Ball Cradle Tune is a portable clip on tuner and tripod neck cradle that works great with guitar, bass, ukulele and other stringed instruments. CradleTune features an oversized 2" LCD screen that provides a large vibrant display that is easy to read from any angle. This compliments the tuners dual-axis 360 degree pivot arm for complete flexibility to the position that is most visible to you. The CradleTune features multiple tuning modes for different instruments as well as ability to choose clip-on or microphone sensors. 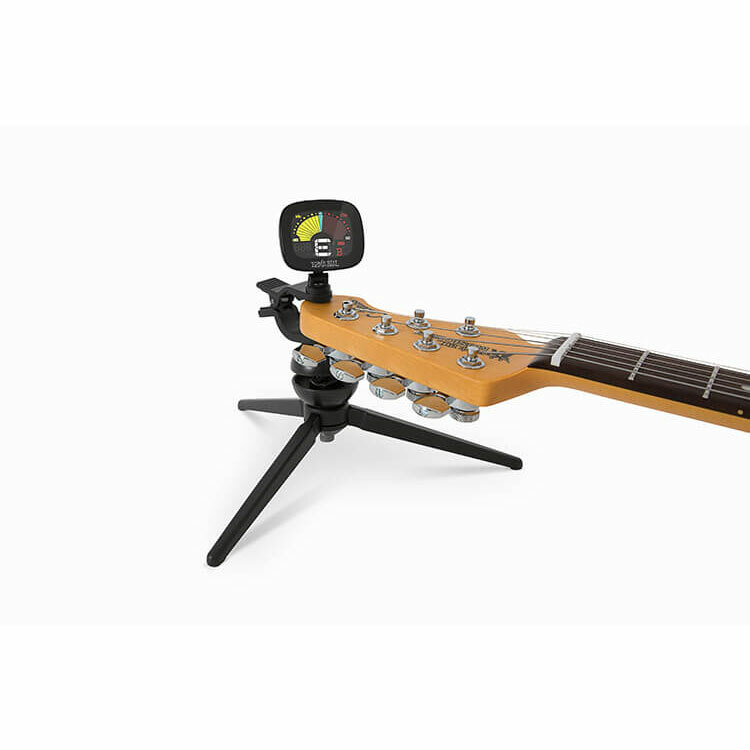 The tuner can also be detached from the tripod for use as a clip-on practice tuner. 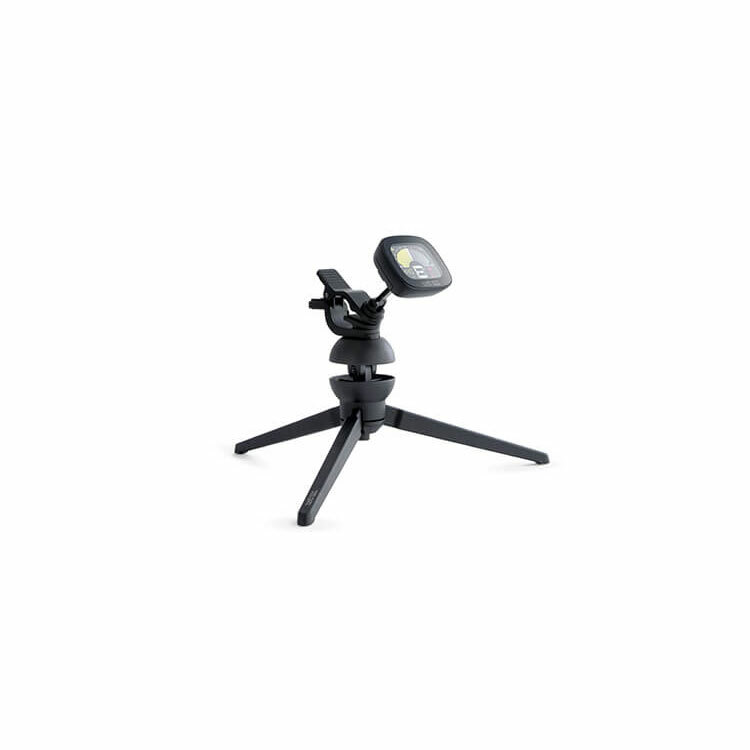 The tripod folds up turning the CradleTune into a highly portable tuner for your gig bag, instrument case, or road case. Ernie Ball products are not available for international shipping. We apologize for any inconvenience this may cause.